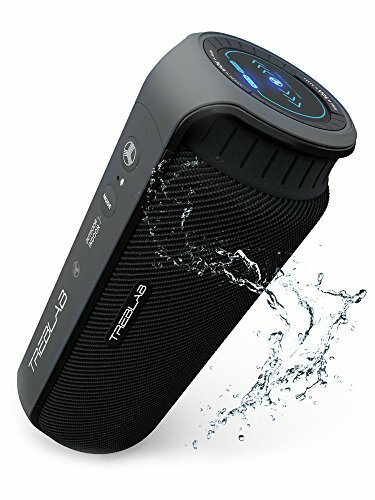 TREBLAB HD55 Bluetooth Speaker Enjoy Loud 360 is currently selling at $65.97, approximately $0.03 lower than average, giving a potential saving of $1.00 right now. With a lowest price of $65.97 and an average of $66.00 it is selling on the low end of its usual range. Price volatility is 0.3% (meaning it does not change often), so the price should stay low for a while. Right now this product is a recommended 'good deal'. There is a coupon available for an additional 5% off. The current deal is also the best price on this item over the last month. 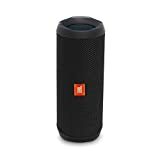 Compare the current price, savings (in dollars & percent) and Buy Ratings for the top Bluetooth Speakers that are closely related to TREBLAB HD55 Bluetooth Speaker Enjoy Loud 360. Here is how TREBLAB HD55 Bluetooth Speaker Enjoy Loud 360 compares with other leading Bluetooth Speakers. - We were born because we got tired of wasting money on hyped up, overpriced or subpar Bluetooth speakers that produce noise instead of sound. - We never cared much for speakers with lousy batteries and constant sound interruptions . - We knew someone had to make a portable speaker we dreamed about... the rest is history. TREBLAB PROUDLY PRESENTS HD55 PREMIUM WIRELESS SPEAKER, a small but tough BLUETOOTH SPEAKER that can be a perfect companion for outdoorsmen, sports fans, shower singers, beach goers, party monsters, active travelers and families who love quality time with fun soundtracks. Feel free to create your special atmosphere with 360°, crystal clear sound you will love and the volume level you prefer. Be free from external conditions affecting your ability to enjoy music - HD55 is water-resistant (IPX4 certified) and is not afraid of dust, splashes, rain, or even your shower. Be free from sound interruptions and signal disconnecting - our steady Bluetooth 4.1 connection won't ever interrupt your music at up to 30 feet away. Be free from the need to recharge the speaker way too often - HD55 comes with a 4000mAh built-in advanced lithium-ion battery so your beats keep flowing for more than 10 hours straight. Enjoy 10 hours of perfectly clear sound with deep bass and the surprising power of 24W with double drivers that create full-scale stereo and true 360° sound. Pump it up as loud as your neighbors can bear - the distortion level at high volumes is industry leading - at less than 1%. FeaturesSURPRISINGLY POWERFUL SOUND - Our most advanced Bluetooth speaker produces impressive true HD sound at 360° thanks to the latest state-of-the-art double 12W drivers and double bass radiators. HD55 pumps out loud clear highs and deep bass that surrounds you, creating a listening experience similar to a live concert.PARTY TOGETHER / WORK TOGETHER - HD55 is your new best friend that brightens up your day wherever you take it, be that a pool party, a bicycle ride, a trip abroad or a long day at the office. 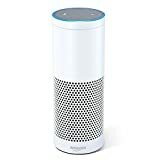 Enjoy a strong and adventurous wireless speaker that's not afraid of splashes or bad weather!EASILY PAIRS WITH ANYTHING AND ANYONE - Takes just seconds to connect via Bluetooth or AUX. Unique wireless technology makes a steady and unbreakable connection with all Bluetooth devices: iPhone, Android, iPod, iPad, Mac, PC - any cell phone, smartphone, tablet or laptop. Clear controls and instructions make it easy even for a 5-year-old to operate.MAKES MUSIC LAST & LAST - Never fret about having to frequently recharge your speakers, as the built-in PlayXTend 4000mAh 10 HOUR BATTERY - That doesn't quit. Enjoy endless tunes from any of your devices and favorite streaming services, including Spotify, Amazon Music, Apple Music, Google Play Music, and many more!